Why upgrade when you can up-green? You are here: Home > On the Road > Why upgrade when you can up-green? For many people, camping is not only about getting away for the holidays – it’s about living more simply for a while. It’s no surprise, then, that as well as renovating their caravans for improved safety, comfort and efficiency, many travellers are making the move towards greener caravanning. 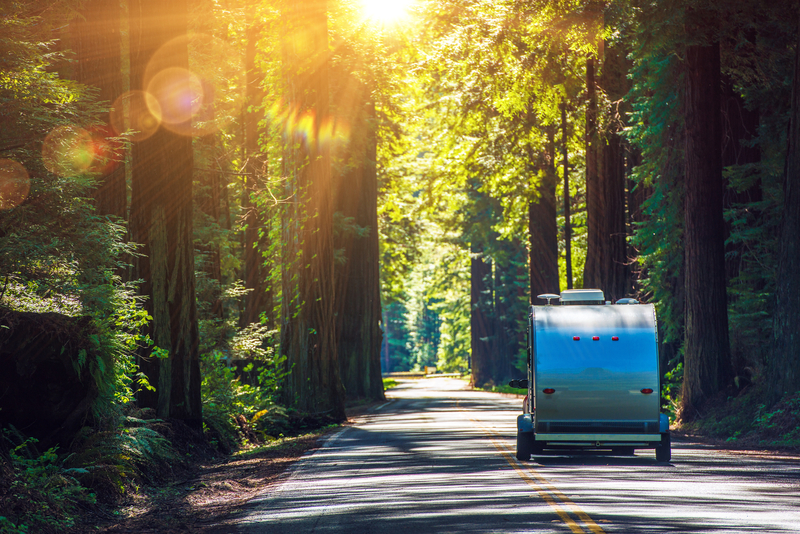 Here are just three of the ways you can make your caravan more environmentally friendly and your camping more self-sufficient. Many people opt for generic appliances like bar fridges because they’re cheap and fit the size requirements of a caravan, but there are plenty of green caravan-specific alternatives. Twelve-volt appliances are a preferable alternative to 240-volt appliances because they’re built for travel and are designed to withstand the rigours of the road. Twelve-volt appliances are also far more energy efficient than 240-volt appliances, so they’ll save you time by minimising your charging requirements. Like solar panels, 12-volt appliances might set you back a bit more than generic appliances, but as they’re built for the road, they’ll last you longer and spare you the nuisance of having to replace them often. Another way to make your holiday more environmentally friendly (and also more comfortable) is to investigate insulation options. Many newer caravans can be bought with pre-existing wall insulation, but if you’re towing an older caravan and use it regularly, wall, roof and floor insulation will be clever long-term additions to your ride. There are also some very environmentally friendly options for insulation materials, and reflective insulating paint can be used on your caravan’s exterior. Be sure to do some research and chat to a professional before you decide to change, as removing interior or exterior lining is a complicated process, and one that can damage your van if not done professionally. If insulation is too much of a major undertaking, think about investing in an awning or annexe. They’re easy to set up, and they eradicate the need to battle for the campground with the most trees. They’ll also reduce your reliance on electrical appliances. If you’re new to the market and are looking for options, pop-top caravans are another great option for minimising the need for insulation, as they allow air to travel freely through the caravan, keeping you and your family refreshed and more connected to the great outdoors. With any additions and renovations to your caravan, be sure to keep in mind that everything new will also add extra weight. Throughout any renovation, remain aware of your car’s towing capacity, and remember that towing extra weight will also have an impact on fuel consumption and handling.